Greetings from Gorgeous and Sunny Mexico! I’m taking a break from the German winter, and spending three months exploring and experiencing Mexico. I’ve been here twice before, but it’s been years. This time I wanted to spend several months here to really get to know the people, the culture, the language, the places, and of course: THE FOOD! 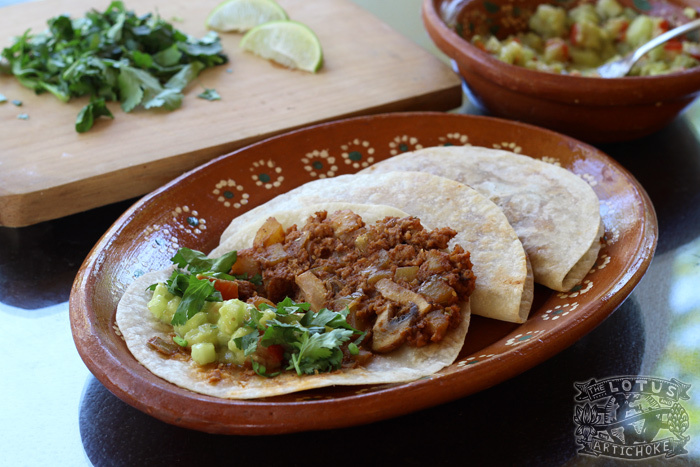 I’ve already spent a few weeks researching the wide variety of Mexican cuisine in more than a half dozen locations including Mexico City, Tepoztlán, Guanajuato, San Pancho, Sayulita, Buceriás, and La Peñita de Jaltemba. Since last month, I’ve been based in the sleepy village of Lo de Marcos, Nayarit. I’ve rented a house just a few blocks from the Pacific. There’s an amazing kitchen, fantastic garden full of herbs, lots of little vegetable markets and even a truck that drives around town selling fruits and vegetables. It’s a little mini paradise! Warm. Sunny. Friendly. Authentic. Down-to-Earth. I’ve been doing yoga every morning and I even got a surfboard and have been having fun in the ocean almost every day. I’ve already developed over 40 new recipes which I’m planning for my next cookbook of vegan recipes inspired by my travels. This book will be about my travels in Mexico, life here, adventures in the kitchen and much more. 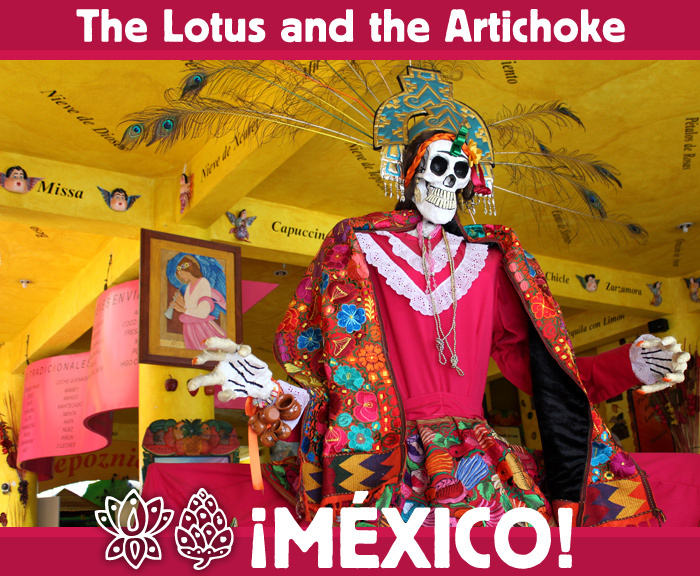 It will be full of stories and original artwork, similar to my first cookbook: The Lotus and the Artichoke – Vegan Recipes from World Adventures. Here are a few photos from the last few weeks. I hope to be posting more, soon! 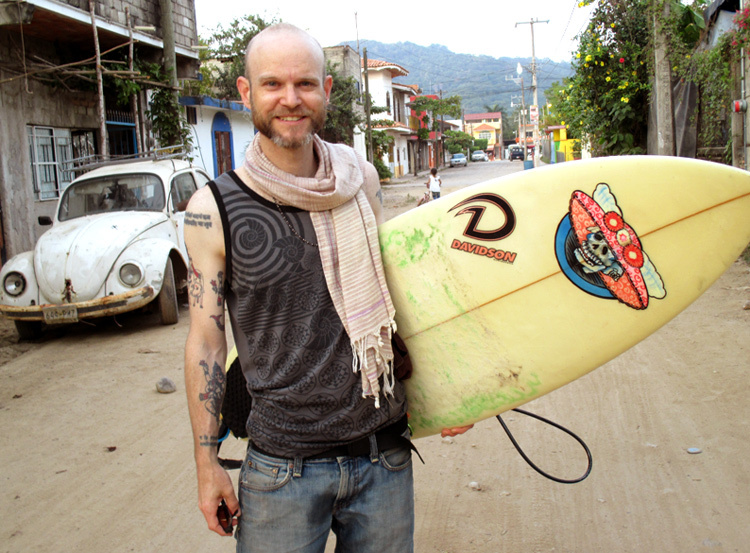 This entry was posted in Reisen and tagged vegan mexico yoga surfing. Bookmark the permalink. 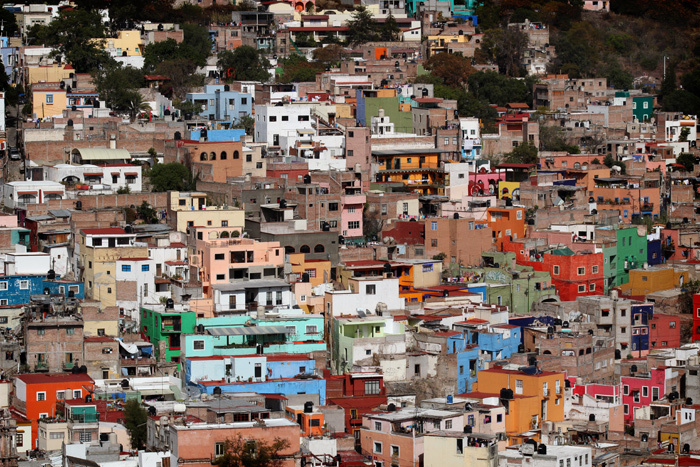 I particularly enjoyed Guanajuato, it looked like magic to me. Hi Babette, yes, we’re having a great time. That’s cool you got to see Guanajuato, too. Such an amazing place! Hey – I just heard about your blog from Adam Groffman who I met up with while in Berlin this week. My partner and I are vegan too, so I was very interested. Mexico has been a place we’ve wanted to visit for a while so it’s good to know there are lots of vegan options – looking forward to reading the recipes soon! Hi Sam, thanks for the visit! 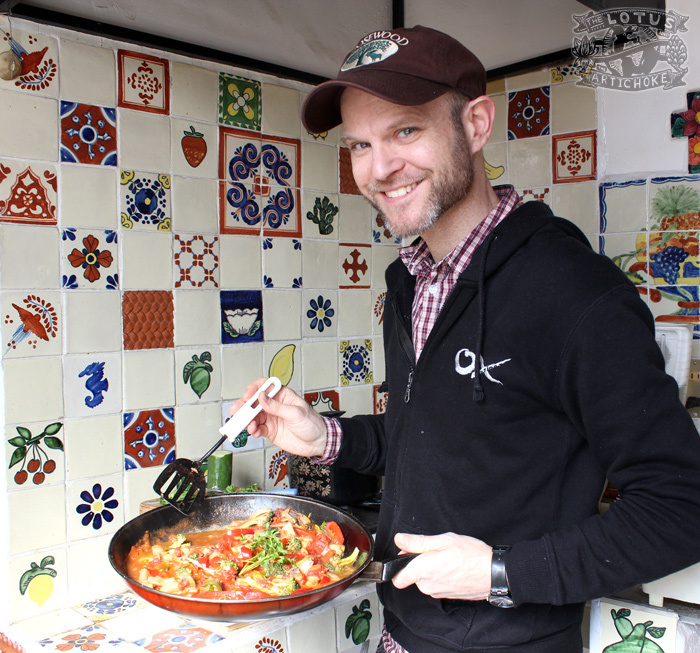 There’s plenty of vegan action to be found in Mexico… it helps to have a kitchen and a reasonable command of Spanish. Lots and lots of great ingredients here, but eating out is rather limited. I usually get really friendly with the places that don’t mind getting creative and more veggie… they get to know me and we both learn and enjoy everything.